Mercedes is taking on the likes of Bentley with a long, sparkly convertible unveiled at the Los Angeles Auto Show. 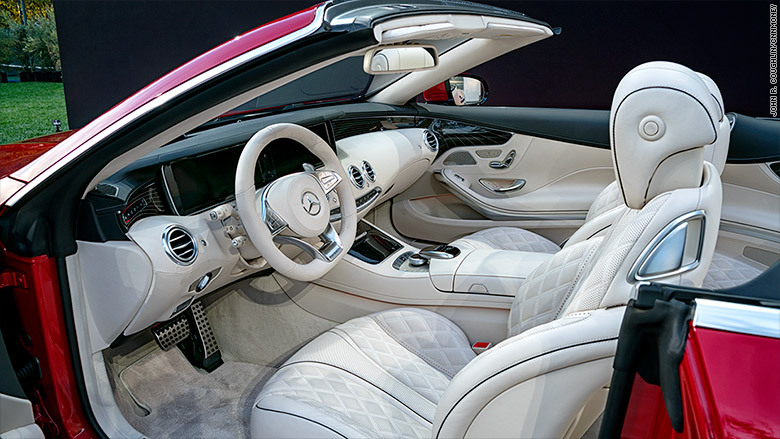 The Mercedes-Maybach S650 Cabriolet is a very exclusive upgraded version of the already-expensive Mercedes S-class Cabriolet. Only 300 of these cars will be made, and they'll feature lots of gorgeous inlaid wood trim and a loads of extra chrome. Mercedes hasn't yet said how much the S650 Cabriolet will cost in the U.S. In Europe, it will run 300,000 euros, which is roughly equivalent to $320,000. The only Mercedes that's nearly that expensive is the closely-related Mercedes-Benz (DDAIF) S65 AMG Cabriolet, which lists at $250,000. And the new Cabriolet will certainly cost a lot more, making it easily the priciest car in the Mercedes line-up. 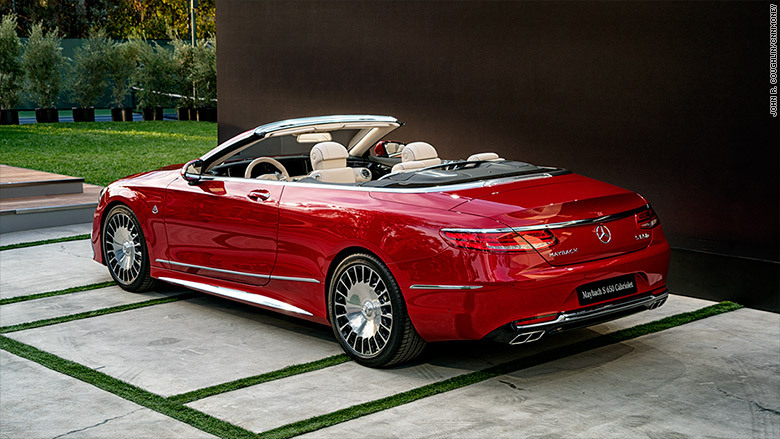 The Mercedes-Maybach convertible is essentially another variation of S65 AMG Cabriolet, with a heavy emphasis on luxury along with top performance. The Mercedes-Maybach S650 is powered by a 621 horsepower turbocharged V-12 engine. In addition to special paint colors that are exclusive to this model -- one red, one white, one blue -- there are other decorative elements such as Maybach logo badges. Buyers will also get a set of luggage made from the same leather used on the seats. They'll also throw in a certificate signed by worldwide Mercedes head Dieter Zetsche. Mercedes-Maybach is an ultra-luxury sub-brand of Mercedes Benz that's intended to compete against cars such Rolls Royce. 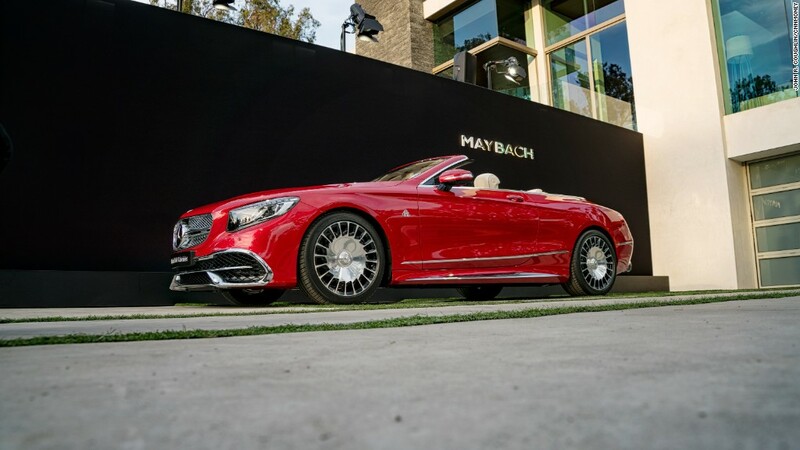 The car unveiled Tuesday in Beverly Hills will be the first Mercedes-Maybach convertible. In addition to the well-known Mercedes-Benz brand and the Mercedes-Maybach brand, Mercedes also has the Mercedes-AMG performance brand. In the future, Mercedes will also offer the Mercedes-EQ line of plug-in cars.